Network Video recorder is the mainstay of any CCTV IP surveillance system. Network Video Recorder is used for recording and saving the videos that captured on IP cameras regardless of its types. Since the NVR is placed on the network, it makes use of the network to send and receive data. It is easy to manage the recorded videos remotely through the computers, tablets and smartphones which are connected to the same network or internet. Samsung has shown their ability to manufacture quality CCTV Systems in the area of security surveillance also. With their technological innovations, Samsung Hanwha Techwin security products are widely accepted and employed by most of the companies. Along the series of products includes the recording systems too. Samsung has succeeded in developing Network video recorders to record high-quality videos by optimizing the storage spaces to minimal usage. Samsung NVRs are well suited to any kind of environments. CCTV Dubai is a pioneer in designing and deploying the IP surveillance systems with the Samsung Network Video Recorders in Dubai,UAE. Samsung NVRs has earned us many customers with their reliability and quality of our installation and maintenance services. The types of NVRs include the 4 Channel, 8 Channel, 16 channel, and 64 Channel models. With the mentioned models, you can meet any specific requirement. Samsung Techwin Network Video Recorder is devoted to satisfy the CCTV IP surveillance recording needs. The key feature is that it doesn’t require a complex and expensive network hardware or integration work. 8 Channel NVR is suitable for all security requirements. This Samsung Techwin Network 16 channel NVR supports 16 network streams. It is designed to provide optimal performance in terms of quality and recording. 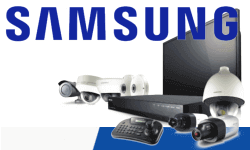 Samsung Techwin Hanwha NVR is perfect recording systems for your IP surveillance system. It is conducive for recording videos in high-quality format while saving storage space and network resources. It allows the connection of 64 streams. CCTV Dubai has the complete expertise in delivering a faultless CCTV security systems in Dubai,UAE. With many years of experience in supporting CCTV devices from leading brands, our portfolio of service covers all parts of UAE including Abu Dhabi,Sharjah, Ras-Al-Khaimah, Umm Al Quwain, Al Ain and Ajman in the industries ranging from law to retail. With proper strategy, we can identify a system which is good and adaptive based on the needs of an organization. It will help you to prevent illegitimate activities in and around the organization. With Samsung Hanwha Techwin CCTV systems in Dubai, we are always able to deliver IP surveillance system in accord with your requirements and budget. Think on before choosing the right service provider for your requirements. Free to contact us! We are here to help you.